Caution: Essential oils will be added after the baby’s first 3 months. 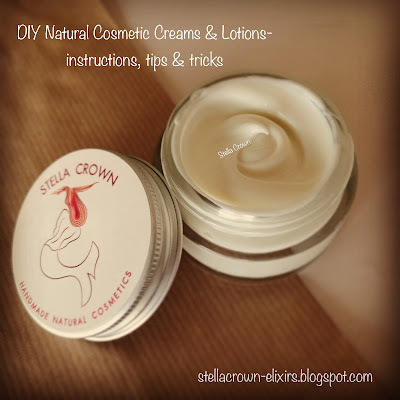 Until then, you can make the cream odorless or just use a cosmetic scent. Before we start making our baby cream, we sterilise tools, containers, work surface and we wear our gloves. Cocoa butter provides antioxidant properties, hydrates deeply, treats and heals the irritated skin. 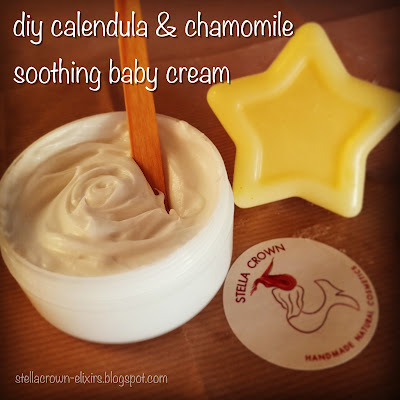 Calendula oil is the ideal oil for delicate infant skin. It softens the irritated skin and heals the diaper’s rashes. Sweet almond oil is light, instantly absorbed, stimulates and softens the baby's skin while also providing wellness. Castor oil is suitable for the healing of skin irritations with remarkable antioxidant properties, while beeswax softens, treats and soothes the baby’s skin. Chamomile floral water is the ideal soothing component to nourish the baby's skin, acting mildly and beneficial, while vegetable glycerin from coconut oil gives a soft and silky texture. Vitamin E keeps the skin hydrated naturally, providing a rich softening effect while provitamin B5 (d-panthenol) soothes and heals drastically irritations and wounds. Chamomile essential oil is anti-inflammatory while lavender is antiseptic and healing.